The STEM fields (science, technology, engineering, and mathematics) have traditionally been male-dominated. Additionally, there is generally a low representation of minority faculty in the fields. As a result, many of the roughly 600 minority female students on average over the last five years who graduated each year with a bachelor’s degree in a STEM field may not ever have been taught by a woman or minority STEM professor during their time at FIU. FIU’s Diversity Mentor Professor Initiative is a special program aimed at recruiting multiple excellent STEM faculty with strong research programs to FIU who have a history of and commitment to the mentorship of women and underrepresented minority students in STEM, particularly Hispanic-American and African-American students. Research has shown that having a female role model has a powerful positive effect on women’s performance in math and science classes. For this reason, Suzanna Rose — associate provost, Office to Advance Women, Equity & Diversity (AWED) — convinced Provost and Executive Vice President Kenneth G. Furton to fund FIU’s Diversity Mentor Professor Initiative and led the recruitment effort. The initiative is modeled on a successful program created by Victoria Sork, dean of Life Sciences Division in the University of California, Los Angeles College of Letters and Science. Michael Heithaus, dean of the College of Arts, Sciences & Education, and John Volakis, dean of Engineering and Computing, together with the provost — committed four faculty lines to AWED for the program. Diversity Mentor professors will participate in FIU’s National Science Foundation (NSF)-funded Institutional Transformation Project, FIU ADVANCE, which focuses on increasing faculty diversity and inclusion, mentoring, advocacy, and leadership activities. They also will contribute to FIU’s research goals through their federally funded research programs. 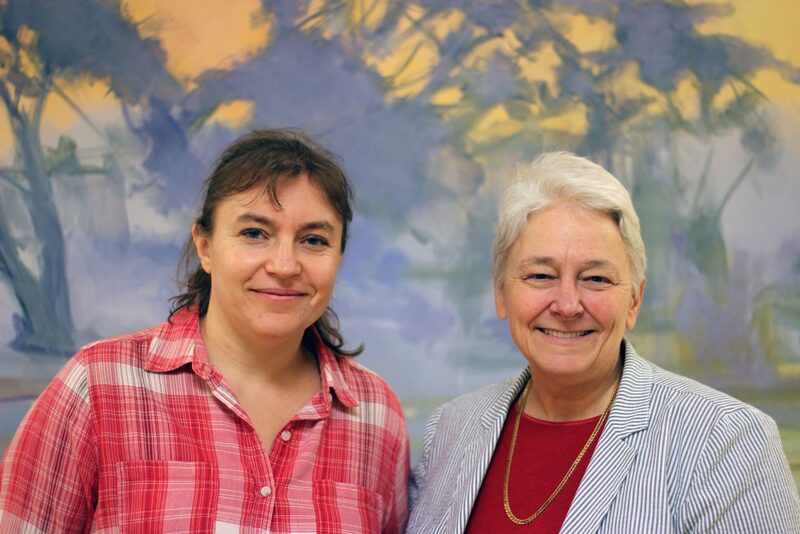 The two accomplished senior faculty beginning as FIU’s new Diversity Mentor Professors this fall are Daniela Radu, associate professor of Mechanical and Materials Engineering, from Delaware State University (DSU), and Svetlana Roudenko, professor of mathematics, from George Washington University (GWU). The search will continue this year to fill the remaining slots. FIU’s diverse student body feels familiar to Radu. Her previous institution, DSU, is an HBCU (historically black college and university), and Radu served as both instructor and research mentor to a large number of students from underrepresented groups in STEM. In her view, one of the biggest benefits of diversity is the opportunity for learning. “Students receive exposure to different cultures, which broadens their horizons dramatically,” Radu says. Radu will be joining the Department of Mechanical and Materials Engineering. She spent several years as an industrial scientist at the DuPont Experimental Station’s Central Research Department in the Division of Materials Science and Engineering, one of the foremost industrial laboratories devoted to basic science. While at DSU, she led a strong research program in nanomaterials with applications in renewable energy that was funded by the Department of Energy and the NSF, and holds numerous patents in her field. She also served as a co-PI on a substantial grant from the Howard Hughes Medical Institute Inclusive Excellence program, dedicated to building campus awareness about diversity and inclusion. Roudenko is joining the Department of Mathematics and Statistics. While overseeing the mathematics graduate program at GWU, the number of female Ph.D. students grew from just one or two to a little less than half of the program. While she was in grad school, she participated in the Emerging Scholars Program, an initiative for freshmen calculus students with the goal of encouraging students from underrepresented groups to pursue advanced degrees in mathematics. Roudenko’s research will be focused on applied mathematics, transforming heavy, abstract math into solutions for real-world issues, such as MRI scanners and turbulence models for airplanes. She has received continuous funding from the National Science Foundation for the last fourteen years via various grants and programs, including the prestigious NSF CAREER award, one of the organization’s most renowned and competitive awards and granted to junior faculty who exemplify the role of teacher-scholars through research and education.